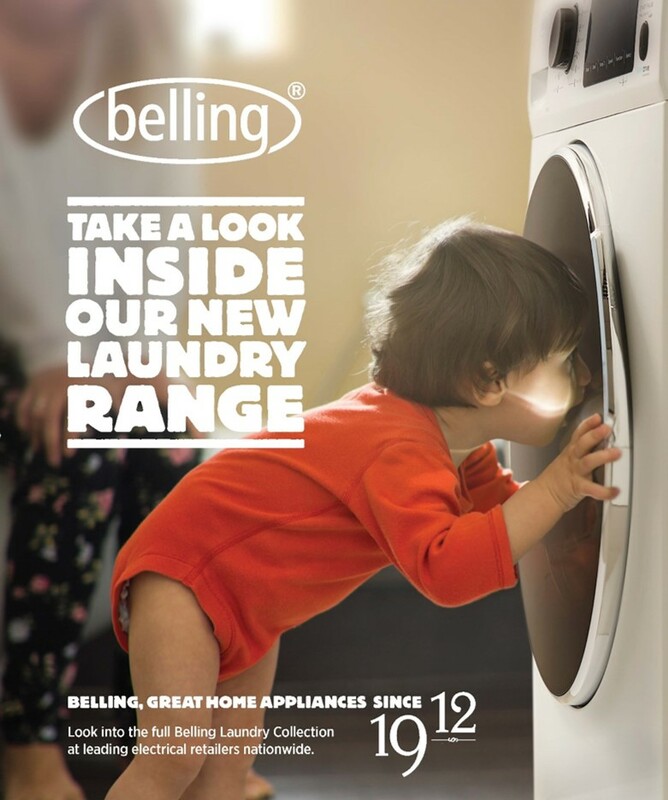 The new collection – which includes two washing machines, a washer-dryer, two tumble dryers, and a 15-place setting dishwasher - means Belling now provides a complete range of home appliances. Pluswash – allows you to pause the wash mid-cycle to add extra items. Hydrocare Drum – state-of-the-art, eco-friendly drum technology which keeps clothes in contact with water for longer to improve wash performance and efficiency and protects clothes from damage. Sensiwash – an integrated sensor that weighs the load to adjust water and energy requirements to save time and money. All the models feature Safetouch heat resistant doors, a bigger than average Easyload porthole door and the 10kg model uses a Silentdrive Inverter Motor – a high-performance motor, with a market-leading 12 year parts warranty, which reduces noise and increases energy efficiency, making these products 30% more efficient than even the top A+++ rating. The Belling FWD8614 Washer Dryer has an 8kg washing capacity and 6kg drying capacity and, like the washing machines, feature 16 programmes including specialist Baby Care and Jeans cycles and a Quick 15 minute wash. The Sensicare collection also includes two tumble dryers – the Belling FCD800 8kg condenser tumble dryer and the energy efficient A++ rated Belling FHD80 8kg heat pump tumble dryer. Rather than releasing the hot air used to dry clothes, heat pump dryers recycle it, therefore using 50% less energy than a standard C class dryer and saving up to £50 a year. Both appliances have LED displays, 12 programmes including an anti-crease function, 24hr delay start and empty tank and filter clean indicators. Completing the Sensicare collection is the large capacity 60cm FDW150 dishwasher, which holds 15 place settings and is A+++ rated. Available in both stainless steel and white, it features seven programmes including a delicate/glass wash, plus a turbo dry feature and premium quality adjustable internal baskets. For more information on the complete range of home appliances from Belling, click here.